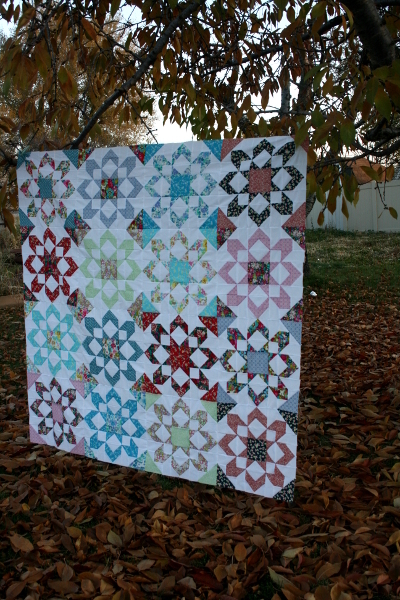 At last – I have a quilt top! 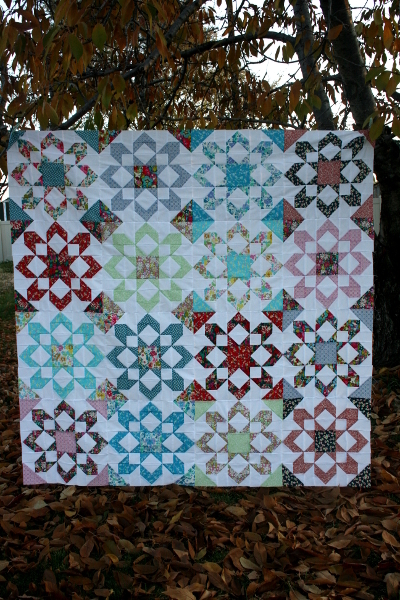 I finally made time to sew the final four blocks together and am loving the results. I worried a little that I was using fabrics with too wide a range of color but I’m thrilled with how the Bloomsbury Gardens prints look in this quilt top. I actually grew to like the prints more as I made this quilt and I’m very happy with my choices. The pattern is Fireworks by Thimble Blossoms. I found it time consuming to piece, but the results are worth it. My first block remains my favorite one. I love those reds and teals together. 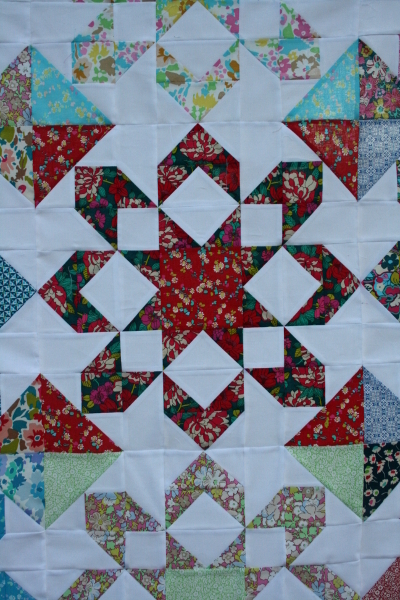 I saved all the extra half square triangles as I pieced this quilt and am considering sewing them all together to use as part of the quilt back. It will be time consuming as many of them are small, but at this point that is my goal. Your Fireworks quilt is so pretty! I have been wanting to make one for a while and now I’m inspired to start picking out fabrics for my own. Oh I love this! I am working on a lone star of paradise quilt, kind of the same just squares in corners.. Yours gives me the push to keep going! I love the color way you used. 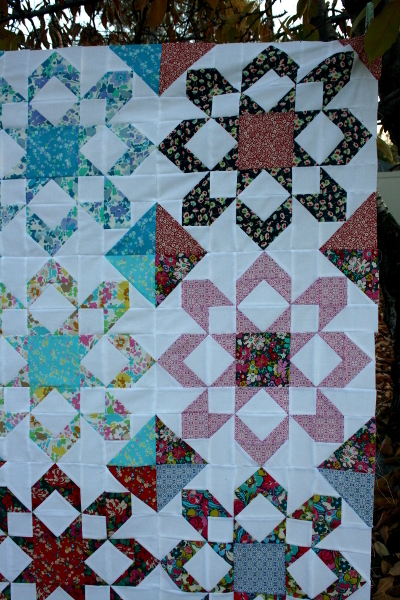 I love having all the extra HST’s I think I will do pillows to go with my quilt when finished. I just finished my Fireworks quilt and I was wondering how you quilted yours.